Now that school is officially out for summer, the holiday season has well and truly arrived, with millions of Brits setting off all around the country and the world in pursuit of fun, sun and a much-needed break. You’ve booked the hotel, sorted the hire car and bought your travel insurance, but one thing you haven’t considered is how much spending money you’ll need to take with you. 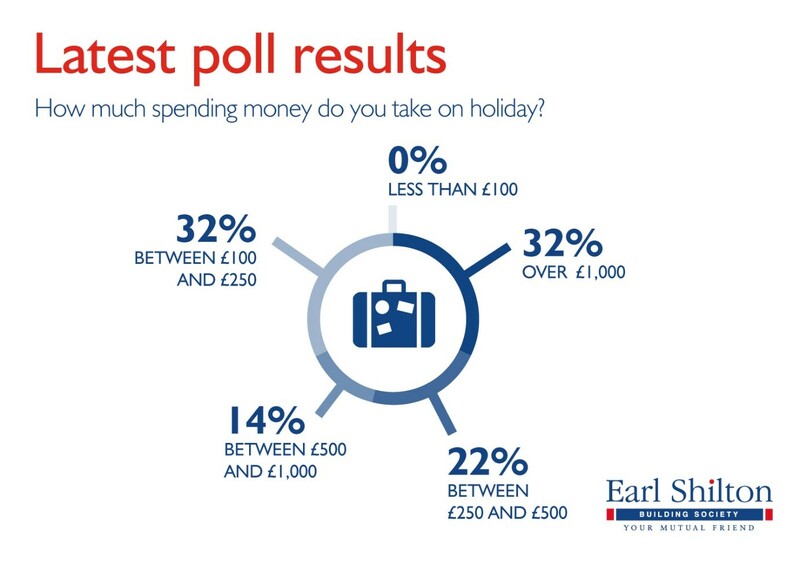 To help prospective holidaymakers, our July poll asked people how much spending money they generally take with them when away. 32% of those who took part said they carry between £100 and £250 in cash with them. While 22% agreed that taking between £250 and £500 is sensible, a further 14% felt that having between £500 and £1,000 is more appropriate. The remaining 32% of participants proved themselves to be big spenders by saying they usually take more than £1,000 with them. No-one who contributed to the poll said they would take less than £100.